Despite the problematic nature of Humans of New York, the photography project by Brandon Stanton that features portraits and stories of everyday New Yorkers, this is kind of cool: Stanton used his viral pull to raise more than $1 million for Brooklyn kids to take a field trip to Harvard. 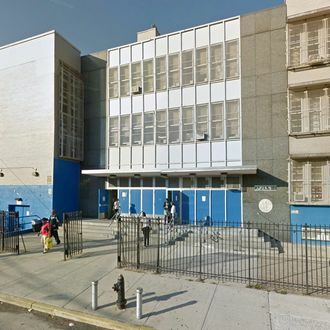 After 13-year-old Vidal Chastanet told Stanton how much his principal, Nadia Lopez, inspires him, Stanton visited Mott Hall Bridges Academy in Brownsville to meet her. While there, Lopez mentioned that she was in the process of raising money to send the school’s sixth-graders on a trip to visit Harvard to encourage them to strive to get into a good college. Stanton decided to start an Indiegogo campaign to help with the fund-raiser and harnessed his online influence to raise more than $1 million in less than five days. Now the Brownsville school can afford to send sixth-graders to Harvard every year for the next ten years. Also, Stanton gets some glowing press to dull the sting of the backlash against him. Win-win, I suppose.